The Irish Green Building Council as an established member of the World Green Building Council has launched today (12th Feb.) ground-breaking new proposals for a European ‘energy efficiency mortgage’ scheme, which pioneering banks and buildings experts are preparing to pilot. Commenting on the public consultation, Pat Barry, CEO of the Irish Green Building Council (IGBC) said: “We are delighted to launch this consultation today. Back in 2017, the 200 organisations involved in co-designing Ireland’s National Renovation Strategy supported the introduction of lower interest loans for homeowners who undertake energy renovation. This is a first step in the right direction, and we are looking forward to working with Irish banks on this pilot”. Following the release of a major EU report on sustainable finance for financial regulators which recommends support for energy efficient mortgages, the new proposals were launched as part of the EU-funded “Energy Efficient Mortgages” initiative. A market briefing setting out the building energy performance landscape in Ireland was published alongside the proposals, to aid banks and other actors looking to launch a national pilot under the scheme. The project aims to help meet the €100bn shortfall in annual investment for energy efficiency in buildings that is required to meet the EU’s climate targets. 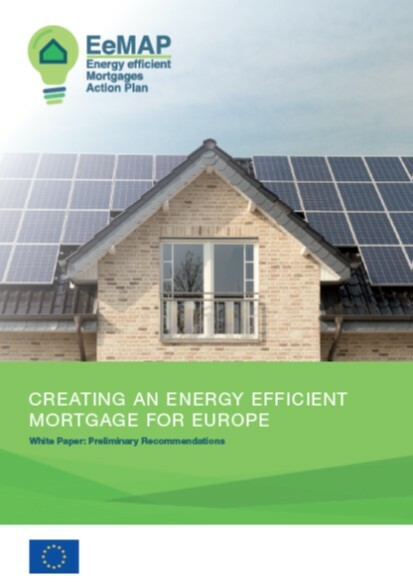 In response to calls from the banking sector, the proposals in the consultation set out a standardised European approach to energy efficient mortgages, to help lenders establish and grow these products. Energy efficiency mortgages aim to offer consumers better lending rates or additional finance when they invest in highly energy efficient homes or energy saving renovations. The final proposals for the mortgage pilot scheme will be released on 14 June 2018 at a major conference in Windsor, UK. The event will gather over 100 high level finance and green building experts, and will mark the official start of the energy efficient mortgages pilot scheme. A group of pioneer lenders, including major banks, medium size players and local, specialised lenders in Europe have already signalled their interest in being involved in the pilot. Irish organisations interested in learning more about this initiative should contact Marion@igbc.ie. Efforts to cut emissions from Europe’s building stock received a major boost as the European Commission said it was considering lowering capital requirements for banks in order to help reward consumers investing in energy efficient buildings.